So I went and did something really stupid….. I signed up for another half marathon. Nearly three years ago now I completed my first half marathon and finished it around 2 hours and 20 minutes. Quite good for a girl who literally couldn’t run down the road a couple of years before that. And after a successful 10K last October my friends and I decided that a half was the next big thing. But now I’m scared – its going to mean lots of running (in the cold) lots of staying fit and probably (probably!!) less booze. So of course I had to sign up to Spatone’s running clinic event held a couple of weeks ago – if I was to get through this I knew I was going to have to get some professional help. So on a very cold March morning my friend Tracey and I turned up at Battersea’s running track and were greeted with lots of eager runners, plus Olympian runner Liz Yelling and performance analyst Sarah Russell. After a few quick warm ups we were split into groups. My group spent the first half an hour with Sarah, who taught us about our running technique. Now believe it or not I never really think about how I’m running – most of the time I’m merely just thinking ‘I want to get to the end’ – but Sarah shared some very helpful tips about how to change our posture etc when running – to get the most out of it. The first tip was keeping your arms straight, relaxed and pointing in the direction you want to go. Sounds easy but I realised my arm movements were all over the place. We then looked at posture – Sarah told us to imagine head lights on the front of our body, helping us keep upright. The last tip was kicking our legs up behind us as we ran, not too high, but high enough to get some power in our movement. After we’d got our style right we went on to look at timings for when we’re training. Most of us, especially me, aren’t very good at pacing – which isn’t great when your running a long race. Liz timed us as we did a lap round the track and gave us times at what we should be doing it in – depending on what we were training for. Of course, with a little bit of competitiveness I was way too fast – so we worked on pacing ourselves so we could last for the whole run. Liz then went on to tell us about the benefits of interval training when training for 10K’s, half and full marathon’s. By keeping up our fitness levels it apparently helps us perform better. So we tried it out with a lap round the track, a rest for 20 seconds then a faster lap the other way. We did this twice before we all realised that we probably needed to do a bit more training. The morning was a real eye opener and gave me some inspiration to do my first 10K run in a long time last week. I did it in just over an hour and felt pretty proud. 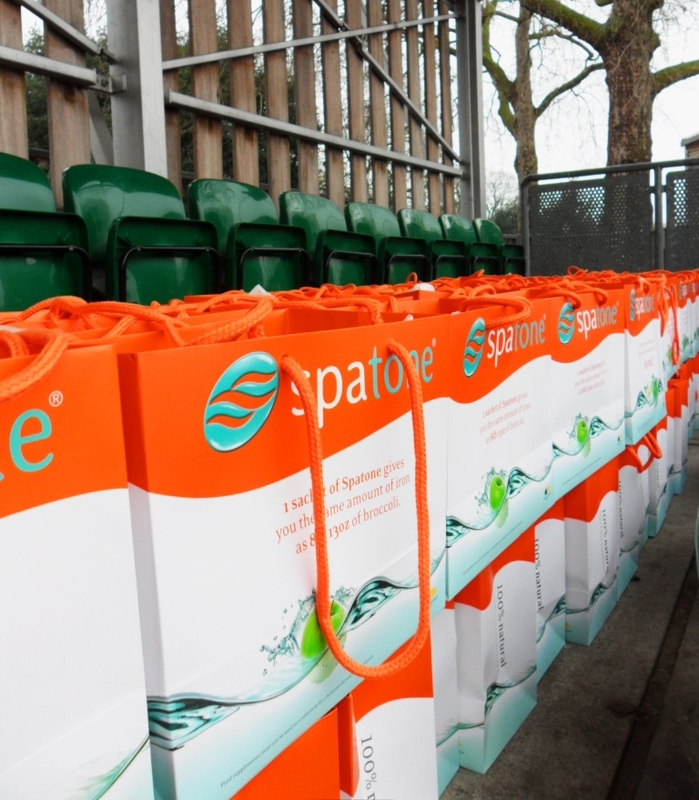 Check back for more updates on how my training is going – 2 months and counting…..
Spatone is an iron supplement, which is great for those who are active. For more information check out their website here.